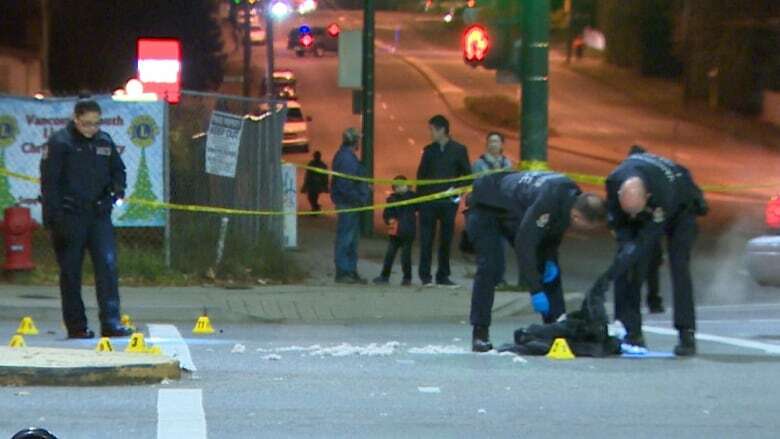 A teenage boy was recording video from inside a tow truck in East Vancouver on Saturday when police opened fire on a 51-year-old man standing nearby. A teenager riding in a tow truck with his dad and the driver recorded video during a fatal police shooting at an East Vancouver intersection on Saturday, shortly before 5 p.m. PT. In the video, recorded by 13-year-old Noah Jamieson, the interaction between the man and the police officers at the northeast corner of Knight Street and 41st Avenue is partly obscured by a white van stopped in a southbound lane. But an officer is seen holding a weapon that recoils twice, as the sound of two shots is heard. "What was that?" says one of the men in the truck. "Sounds like gunshots," the other says. "Yeah, that's what I thought," the first replied. Once the white van moves out of the way, the video shows a man lying on the ground, with two officers attending to him. The man was taken to hospital, but died of his injuries. 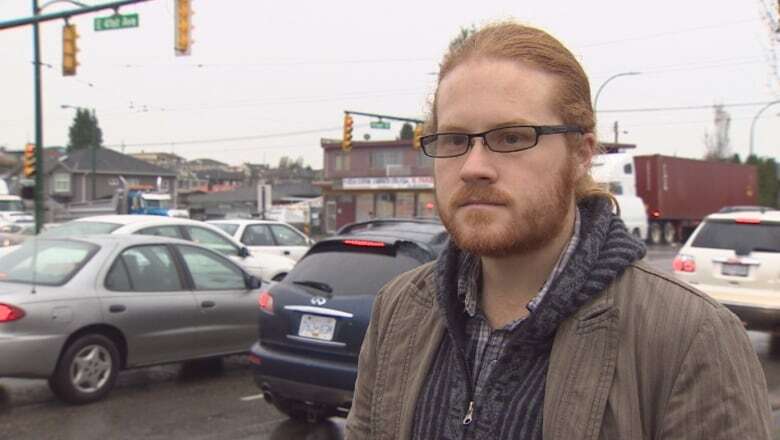 The Vancouver police said the man, identified by the B.C. Coroners Service as 51-year-old Phuong Na Du, or Tony Du, was distraught and waving a two-by-four at the intersection before officers arrived. Kieran Fogarty, a witness to the incident, said there were up to eight people waiting with him at a nearby bus stop when Du, carrying the piece of lumber, walked by them and headed to the street corner. "He was talking to himself, talking to the traffic, and he was rubbing the stick across the fence and tapping the fence with the stick," he said. Fogarty said he was initially amused, texting his friend about it, but then the situation soon escalated. "A police car pulled up and police started asking the man to come, and to come towards them across the crosswalk and to put down the stick, and right when they say put down the stick they opened fire on him," Fogarty said. "He was halfway through the crosswalk when he finally stopped, the one shot hit him, and he bent down on two knees and they came over and they handcuffed him, and other police cars showed up." Police said Du had refused to comply with officers' directions and that bean-bag rounds were first used to attempt to disarm him. "Eventually the man was shot," Const. Brian Montague said in a statement Saturday night. Fogarty told CBC News that he estimates the entire interaction took place "within a minute." Camia Weaver, a justice consultant and former lawyer who has worked with the Canadian Mental Health Association, said the timing raises questions about why the officers reacted as they did. "It happened so fast, and that means to me that the time wasn't taken to approach the situation in a way that would have had a better outcome," she told CBC News. The Independent Investigations Office has opened a file and said it is grateful that a number of witnesses have come forward with statements and with video of the incident.